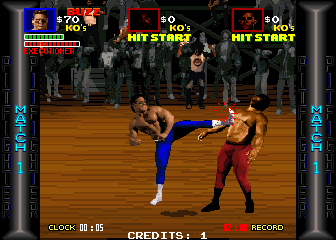 OverviewPit Fighter is an arcade game, which was later ported to an array of home consoles. Now you can add videos, screenshots, or other images (cover scans, disc scans, etc.) for Pit Fighter (bootleg) to Emuparadise. Do it now!